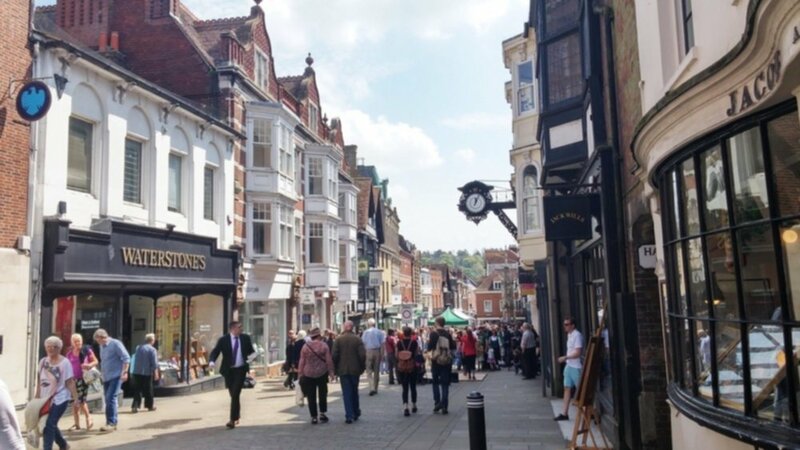 On the first Saturday of May, we decided to visit the tiny city of Winchester which is just an hour long bus ride away from Southampton. It's the cutest city I've ever visited and is beautiful for it's rich culture and heritage. Luckily for us, the day we decided to visit the city was the day on which everyone was out on the streets, celebrating May Day. 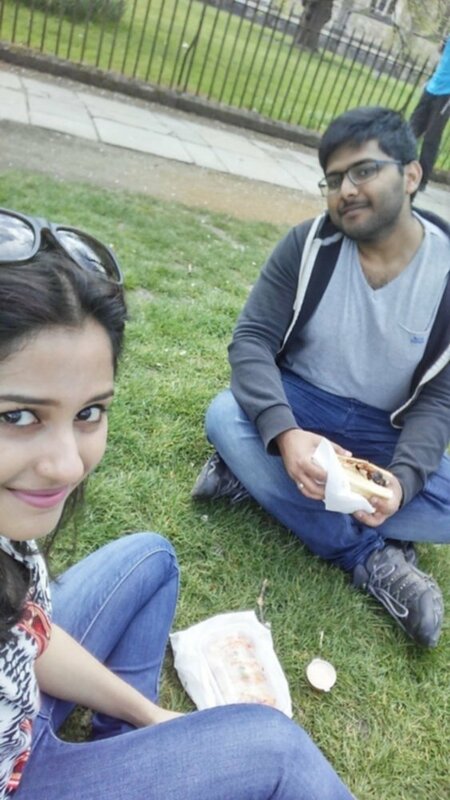 After walking along the streets, taking in the smells and sights of the city on this special day, we found a happy spot on the lawn near the Winchester Cathedral to have the breakfast we picked out from the many stalls that were open that day. 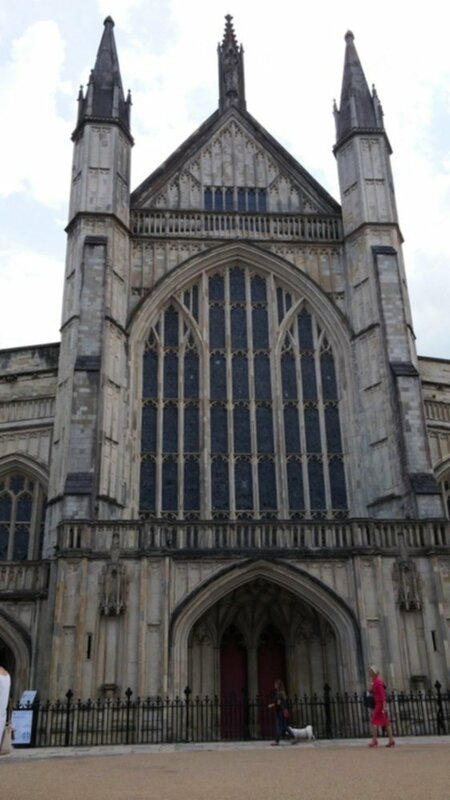 And quite naturally, our first stop was the famous Winchester Cathedral. 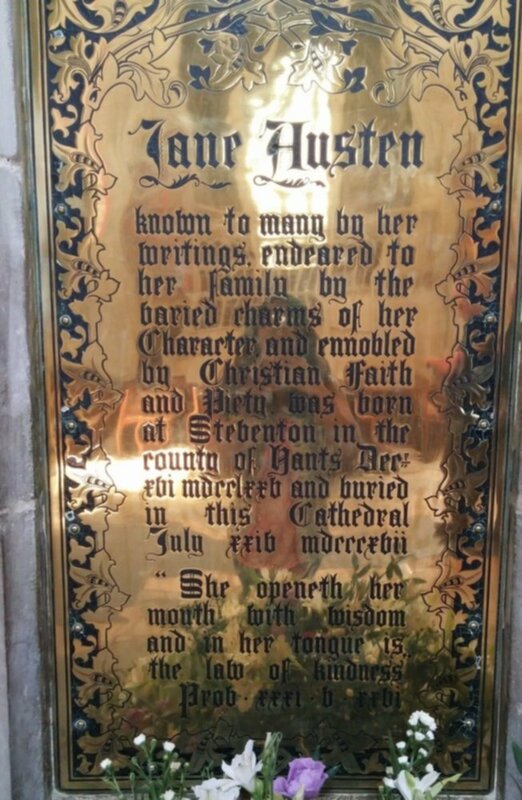 I'm sure I've read before that Jane Austen was buried at the Cathedral here but it's only after I got here that this piece of information really sunk in. Our guide told us how he once mentioned to an American woman that Jane Austen was one of Britain's best writers and she corrected him by saying that Jane Austen was in fact the best. I couldn't agree more. She wrote for only 6 years of her life and produced 6 amazing books during that time. You might find it interesting that she took inspiration for her novel Northanger Abbey from her constant visits to Netley Abbey. 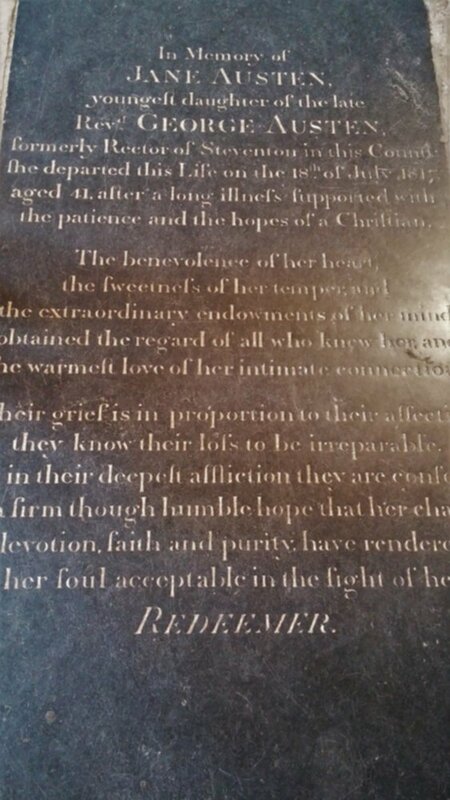 Unfortunately, she died at the young age of 41 at Winchester where she'd come to receive treatment for her illness. 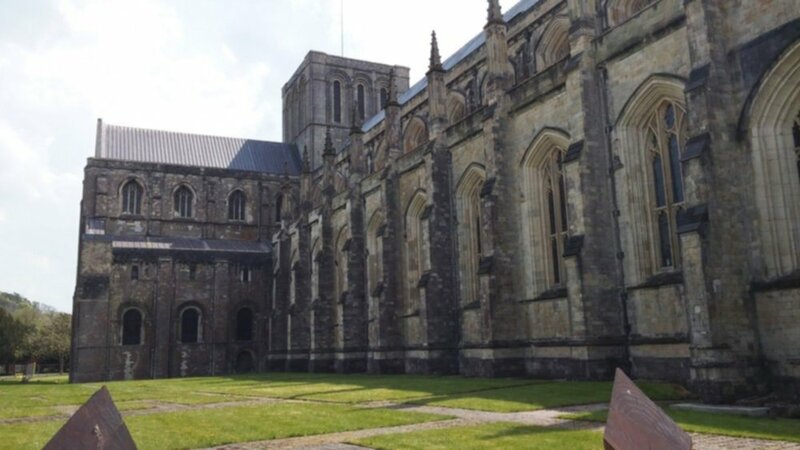 Hence, the Cathedral at Winchester was her final resting place and I believe less than 10 people attended her funeral so far away from home. I'm so thankful for having been able to see this in person! 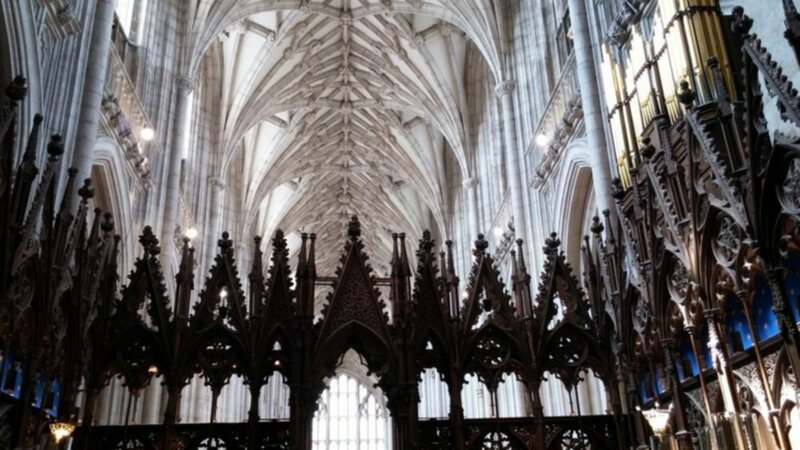 The Winchester Cathedral is huge with many alters and places for prayer. 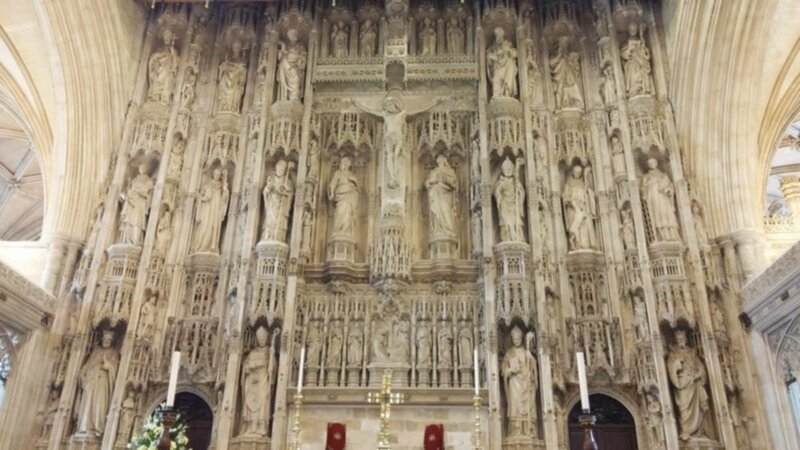 I found this one in particular to be interesting as the entire alter is carved out of stone. You might think that it's all wood when you first see it but believe me, it's stone. And the amount of detail you will find on it is incredible. 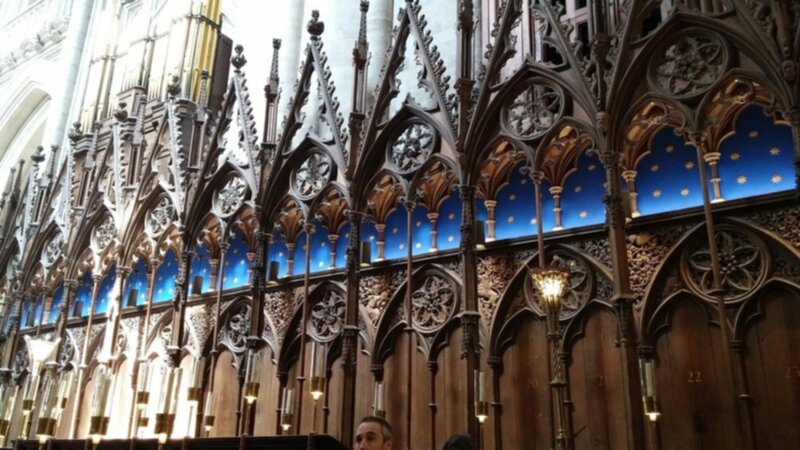 What makes it even more special is the knowledge that it was constructed around the time when people didn't have access to good tools to produce this kind of art. 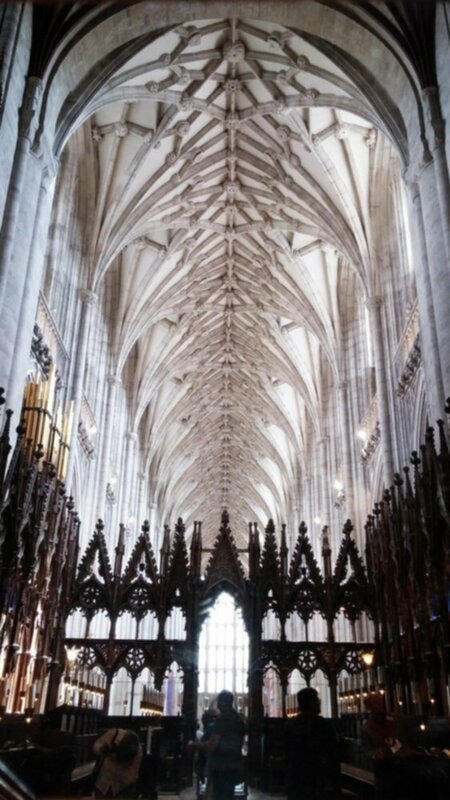 After doing a tour of the Cathedral, we decided to do a tour of it's Tower. You have to pay extra for this but trust me when I say this, your trip to Winchester would be a waste if you don't do a tour of the Tower. The steps up to the tower were so narrow and steep that even I was finding it difficult to get a footing on them. And I wear Size 4 shoes (sometimes kids size 2 but let's not get into that). My poor husband struggled with his giant feet but he seemed to be faster than I was to climb all the way up. I wish I could take pictures of the climb and descent but I was holding on to dear life on that narrow staircase that provided us with nothing but a rope for support. 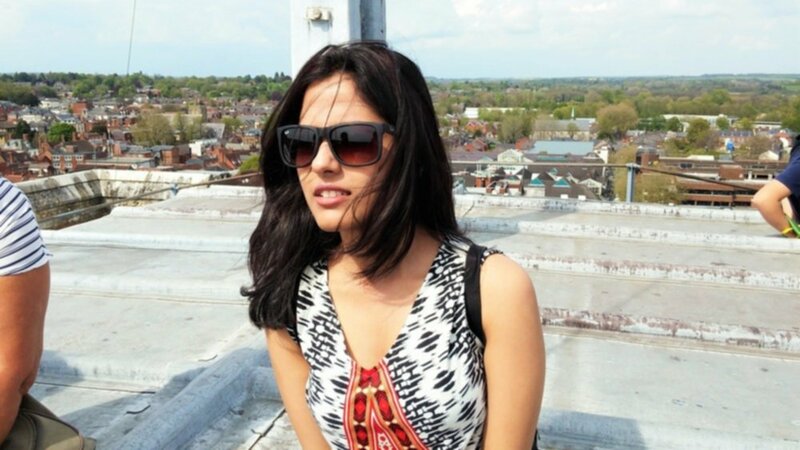 However, once you make it, you get to see the most breathtaking view of the entire city from up there. 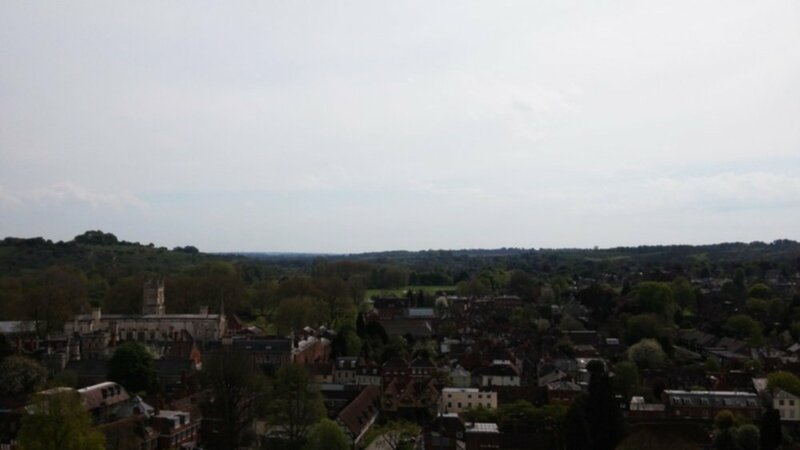 After our very adventurous tour of the Cathedral and it's tower, we proceeded to have a late lunch at a popular Winchester Pub. Because you know you HAVE to go to a Winchester Pub at least once in your lifetime. This one was situated on the bridge overlooking the River Itchen. So once we were done there, we took a nice long stroll along the river. 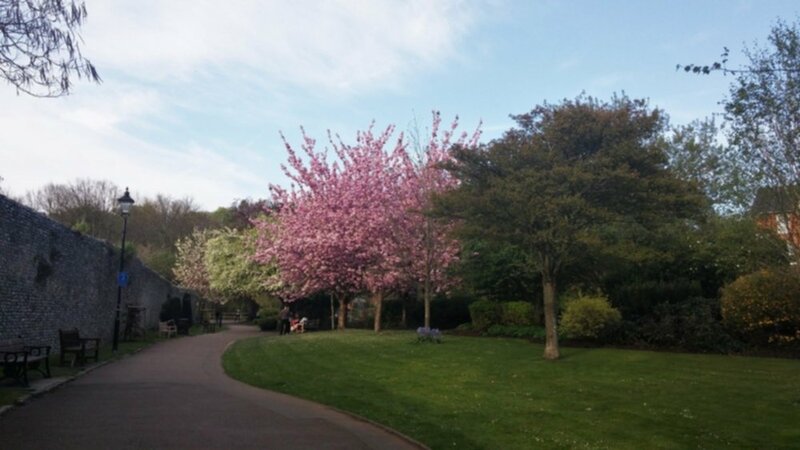 And I think I'll end this post with a picture of yet another pink tree that I found on this trip.